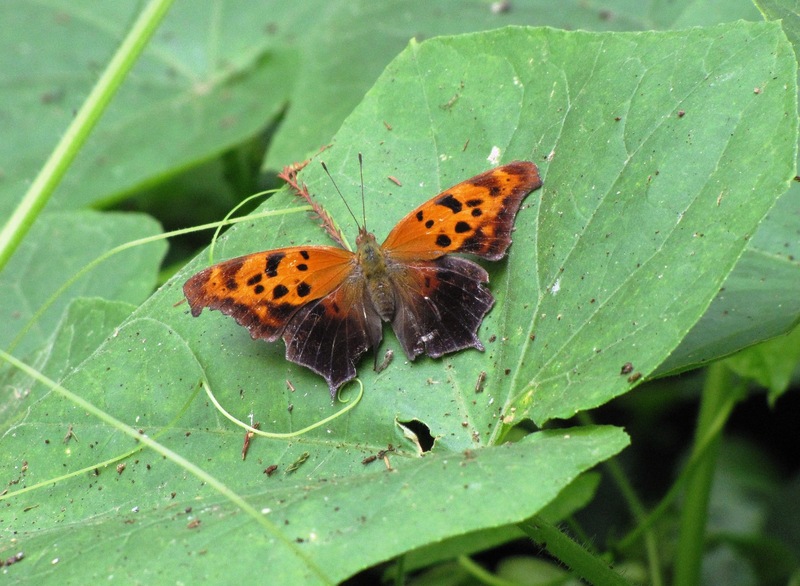 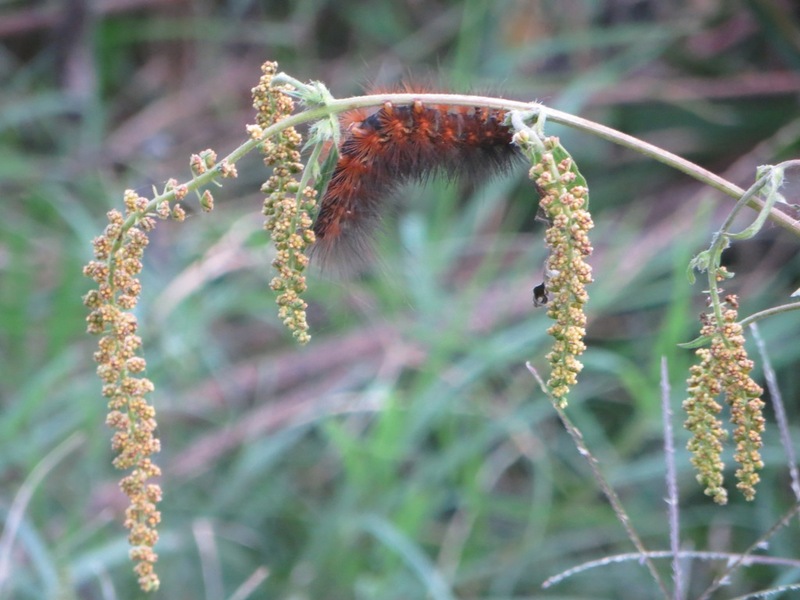 If you take a walk down our country road at this time of year, you are certain to see numerous hungry caterpillars wandering among the plant life in search of food to satisfy their voracious appetites. 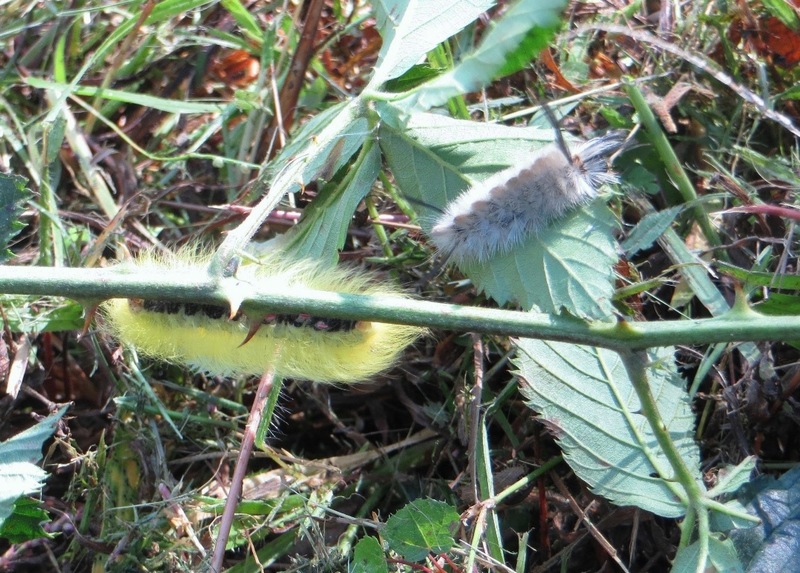 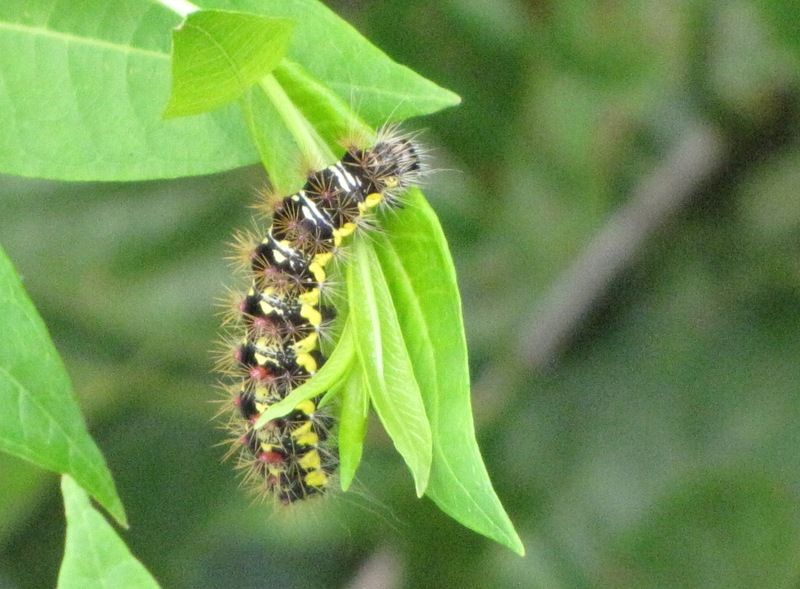 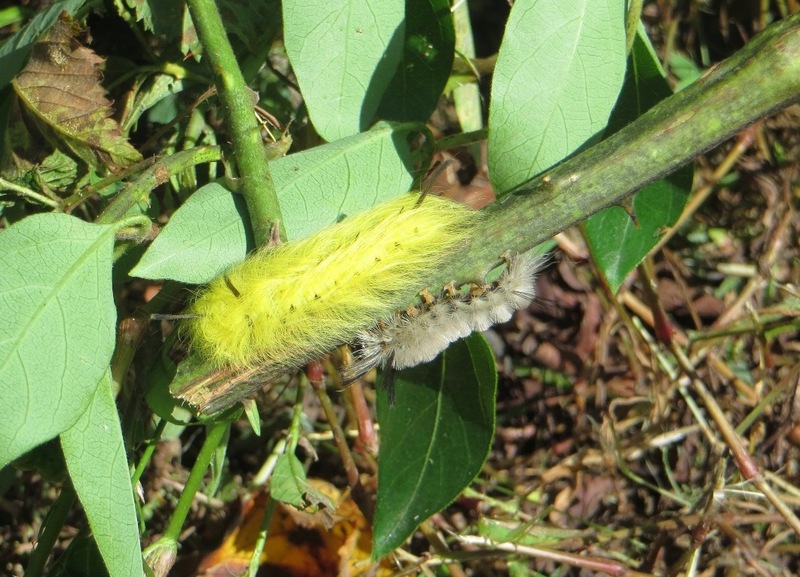 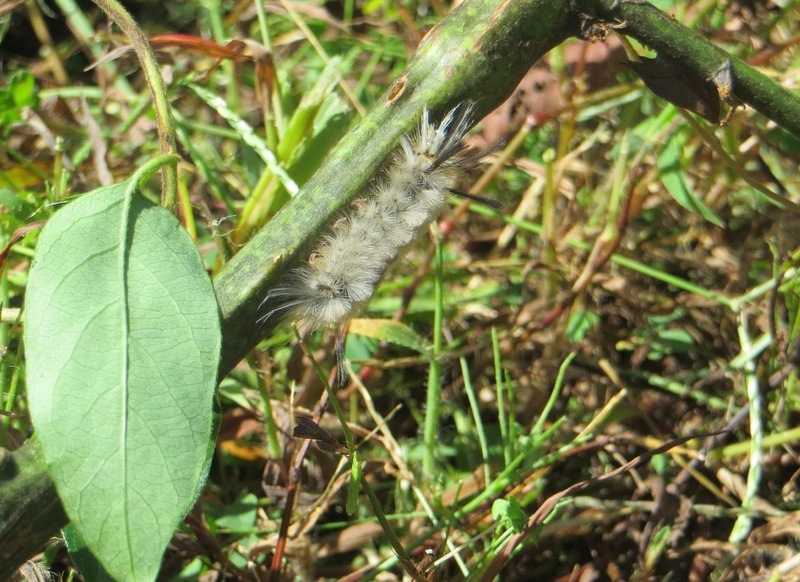 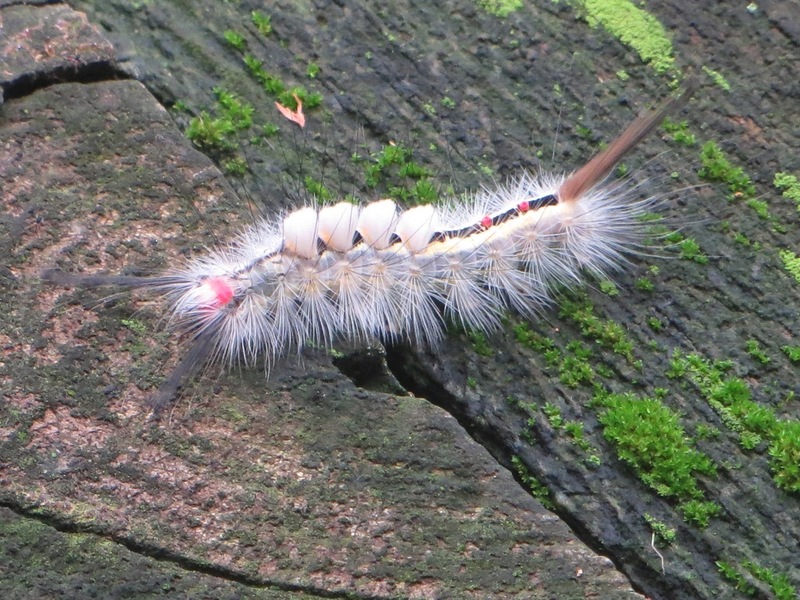 The White-marked tussock moth caterpillar is easily distinguished by its red head, black stripe down the center, four white tuffs near the front and two red dots toward the back. 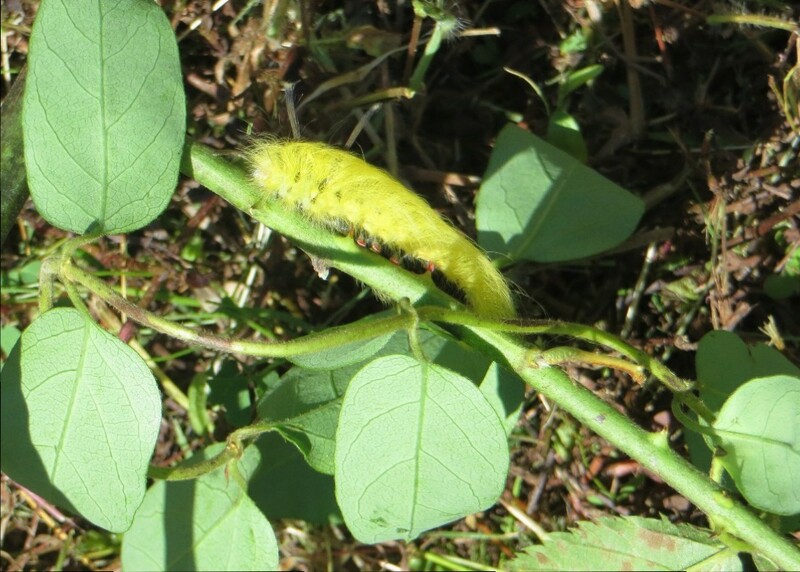 Though its bright colors make it pretty to look at, it is best to avoid any contact, as its stinging hairs can cause an irritating rash.